Record expenses. Anywhere.-Whether you are at the office or on the road, Zoho Expense makes it easy to stay on top of your expenses. Record expenses as they happen so that you don't have to carve out time from your already busy day. Auto scan your receipts-Just photograph a receipt, and Zoho Expense automatically saves the important details like the date, cost, and business name. Add expenses easily-Record expenses as they happen. Attach a receipt, enter the cost, and pin the expense to a report. You can sort of expenses by category, write notes, and add additional entry fields. Create Per Diem rates-Create and allot per diem rates for all your employees and the countries to which they travel. Set unique food, cab, and lodging allowances and ensure your employees don't spend beyond the allowed limit. Merge Expenses-Merge similar expenses to avoid duplicate entries. The expense in any currency-Zoho Expense supports all major currencies. When you report your travel expenses, Zoho Expense automatically looks up the exchange rate and converts it for you. Store receipts digitally-Receipts can fade and become illegible, but digital records never disappear. Zoho Expense maintains your receipts safely in the cloud. Bill your customers-Billing your customers for consultations and other expenses? Create an expense report and send it to your customers. Forward receipts from your inbox-Forward the receipts in your inbox to Zoho Expense and Email Receipts will scan them for easy expense reporting. View where your business has incurred the greatest expenses with comprehensive reports. Analyze your employees' expenses and see reports of policy violations to track excessive spending. Let the numbers do the talking-Identify your biggest costs to curb excess spending. Break down your expenses by categories like travel, business, or entertainment. Interactive Dashboards-Tired of searching for the information you need? View our intuitive dashboards to get insights into expense reports awaiting approval and more. Policy Violations Reports-With analytics for policy violations, identify the employees who are frequently violating company policies when reporting expenses. Create approval workflows-Create custom approval workflows for every employee or department. Criteria based approval lets you create unique approval workflows for your expense reports. Streamline Approvals-Your desk is a mile high with files awaiting approval. Streamline and simplify the way you approve of expense reports and get it done in a fraction of the time. Approve/Reject with a click-Review and approve expense reports with ease and mark them reimbursed. Reject reports with policy violations, with an appropriate reason. Set up Approval preferences-You can set due dates for making approvals, and send notifications when reports get submitted or approved. Easy expense reporting-Expense approvals are a cinch with Zoho Expense. Get notifications for pending reports, and write feedback when you need to reject a report. Keep a check on expenses-Define rules for your employees' expense reports. Set up spending limits, expiration periods, and more. Customize your reporting-Customize your expense reporting preferences by adding custom fields to reports. Setup notifications when submitting and receiving expense reports for approval.? Sync your debit and credit card transactions with Zoho Expense. All your debit and credit card transactions are fetched daily, so you don't have to waste time re-entering expenses. Map debit and credit cards-Automate debit/credit card and bank statement importing by mapping your cards in Zoho Expense.? Click and convert-Take card transactions and convert them into expenses with the click of a button. Avoid double entry and duplicate expenses. 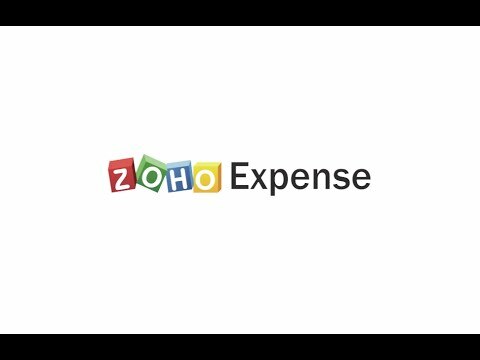 Zoho Expense is an expense reporting software that automates the recording of expenses from receipts, makes expense reporting effortless and streamlines approval. Connect your debit/credit card and convert your card transactions to expenses. Get insights into business expenditures with detailed Analytics. Q. Who can approve expense reports? An Approver or an Admin user can approve the expense report. An approver has the option of forwarding an expense report that has been submitted to them, to another user for approval/rejection. Q. Can reports with expired expenses be approved? Yes. Reports with expired expenses can be approved. However, it will be considered a policy violation. Q. Can a rejected report be reimbursed? Reports in the Rejected status cannot be reimbursed. To record reimbursement for a rejected report, you need to approve it once again. Q. Can reports with policy violations be approved? Yes, before approving the report, the approver will be prompted about the policy violations in that report. However, it will be at the approver’s discretion to approve or reject the report. Q. Can admins view the expense reports submitted to another approver? Can admins view the expense reports submitted to another approver? Yes, Admins can access all the reports submitted across the organization to any approver from the All Approvals section. They can view them under the To be reimbursed filter. Q. Can an admin approve a report submitted to another approver? Yes, an admin can approve reports submitted by any user to any approver.